‘Single Malt’ seems to be the buzz term when it comes to whisky nowadays. But how much do we really know about whiskies from around the world? Like American Bourbon for instance. Corn’s the Key: The main grain in a bourbon must be corn, at least 51 per cent of it. 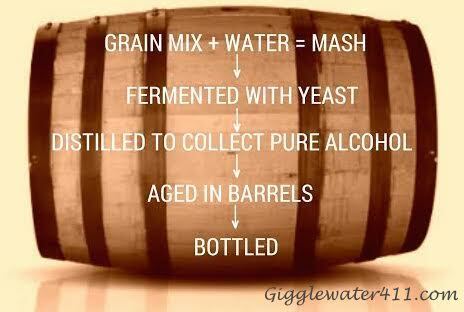 Usually rye and barley complete the total mix which is called the ‘mashbill’. In certain cases wheat is used too. The remaining 49 percent is left to the discretion of the distiller. He can experiment to create his own ‘recipe’. Distilled to no more than 160 proof (80% alcohol by volume). Aged in new charred-oak barrels. Put into the barrel for ageing at no higher than 125 proof (62.5% ABV). No additives like colour or flavour. Only pure water can be added. Bottled at no less than 80 proof (40% ABV). Bourbon in Bourbon: It’s true that Bourbon County lies deep within Kentucky which is considered the birthplace of this American whiskey but bourbon production is not limited by state. A whiskey following the specific guidelines made anywhere in the US of A can be called bourbon. Jack Daniel’s: In all likelihood JD was your first introduction to Bourbon. Except, guess what? It isn’t a Bourbon at all. It’s a Tennessey whiskey, which means that it is made in almost the same manner as a bourbon, but is filtered through sugar-maple charcoal at the end. I know it’s easy and comfortable to think of JD as Bourbon. But it’s not. Sorry to burst your bubble. Don’t hate me for it. Small Batch – You find a pretty bottle of Bourbon with the words ‘Small Batch’ on it and you think ‘Oooo, limited production’. Another bubble-popper – ‘small batch’ has no legal definition to it. Of course, it still might be very good. But it could mean anything from 5 to 5,000 barrels. So if you find a special bottle of Small Batch bourbon, in all likelihood it’s just as special as all the other 90,000 out there. Cask Strength – It is bottled straight from the cask without adding any water. Typically between 50% and 60% but can even be 70%. Packs in a punch. Whisky or Whiskey? Yeah, this one can be a doozy. 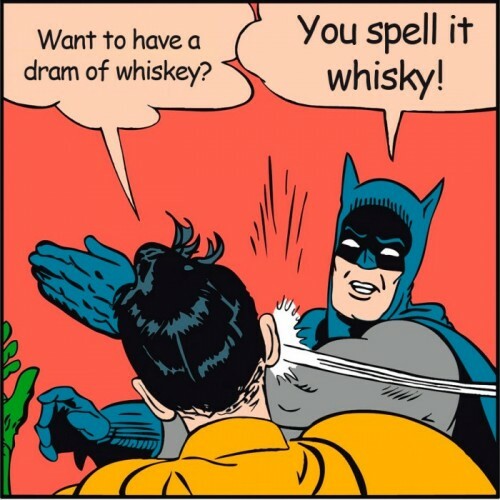 Bourbon is American ‘whiskey’, Scotch is ‘whisky’. Why the different spellings? Perhaps the Scots think an extra vowel wastes good drinking time. Who knows?! Other than the spelling, the ingredients and geography differ as well. Oh, and the Irish make ‘whiskey’ too. Scotch vs Bourbon: Scotch is whisky made in Scotland, bourbon is whiskey made in the USA. Scotch is made mostly from malted barley, while bourbon is made from corn. Comparing the two is just unfair to both. So why the Bourbon 101? Well, apart from the fact that it was long overdue, there’s a new Bourbon in town that piqued my interest in this American spirit once again. Say hello to MEDLEY’S. Part of the larger Berentzen Group out of Germany, Medley’s made its way to Delhi last month. I had a chance to taste them straight up at the launch at the city’s favourite speakeasy PCO. And there were some lovely cocktails too. The recipes will follow in another post. But first, about the bourbon. There are two variants available. A straight Kentucky Bourbon, with a minimum ageing of 3 years. Golden brown in colour with hint of vanilla and spice matched with fumy notes and characteristic oak. This dark amber coloured bourbon is aged for 6 years. The nose conveys powerful scents of wood, combined with spicy notes and a hint of sweet vanilla. I like the duality of this whiskey. It goes down soft and mild, but it is certainly full bodied and powerful. A bourbon to take your time with. Sip and savour.